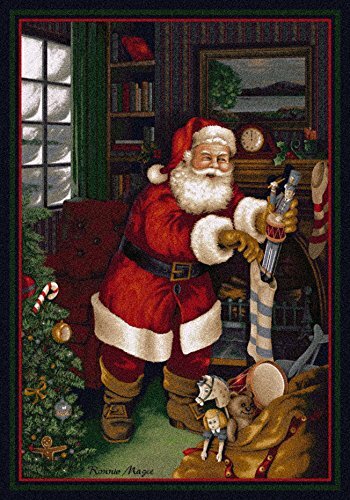 Ring in the holiday season with this warm welcome from The Santa's Visit Kris Cringle area rug from the Holiday Collection. The scene on this rug is the epitome of a joyful holiday so this rug is perfect for your home this season! With unrivalled durability and a gorgeous, soft pile, there is no reason why this rug can't be a new part of your holiday tradition for years to come!